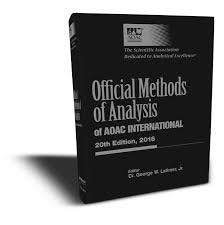 Pioneers in the industry, we offer quality assurance in analytical chemistry, chiral separation techniques: a practical approach, 3rd,ed., extraction techniques in analytical sciences, analysis of pesticides in food and environmental samples by, stability-indicating hplc methods for drug analysis and official methods of analysis of aoac international from India. Method Development and Optimization of Enantioseparations Using Macrocyclic Glycopeptide Chiral Stationary Phases (Thomas E. Beesley and J.T. Lee). Role of Polysaccharides in Chiral Separations by Liquid Chromatography and Capillary Electrophoresis (Imran Ali and Hassan Y. Aboul-Enein). Analytical and Preparative Potential of Immobilized Polysaccharide-derived Chiral Stationary Phases (Tong Zhang and Pilar Franco). Chiral Separations Using Supercritical Fluid Chromatography (Karen W. Phinney and Rodger W. Stringham). 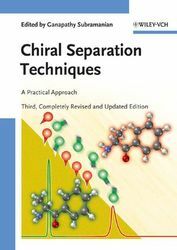 Chiral Separation by Ligand Exchange (Gerald Gübitz and Martin G. Schmid). Advances in Simulated Moving Bed Chromatographic Separations (Pedro Sá Gomes, Mirjana Minceva, Luís S. Pais, and Alírio E. Rodrigues). Improvements in Operation Conditions Evaluation (Separation Volume Method). 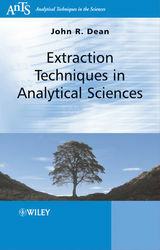 This book coves one of the most important areas in analytical sciences, extraction techniques for organic compounds in environmental and related matrices. 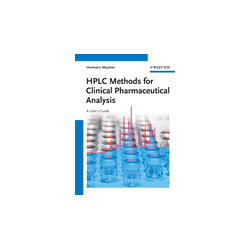 This text discusses all of the key stages for analysing a sample for organic compounds from the initial sampling protocols, the range of different Extraction Techniques In Analytical Science for solid, liquid and air samples through to the final chromatographic analysis. Summary Developing safety regulations for pesticides used around the world—in excess of 2.5 million tons annually—requires reliable analytical methods for assessing their impact in food and in the environment. 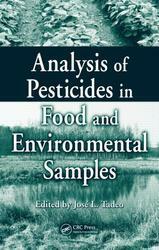 Analysis of Pesticides in Food and Environmental Samples presents the most effective techniques for analyzing pesticide residues and other chemical contaminants in foods as well as in soil, water, and air. 3rd ed. 2012, XII, 552p. 147 illus., 4 illus. in color. With significant developments in the areas of chromatography and spectroscopy as well as the unique inherent chemical diversity of natural products, vital in drug research, natural products research has gained new momentum. 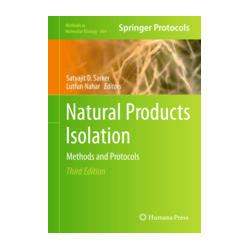 Fully updating and adding to the previous two editions, Natural Products Isolation, Third Edition documents the latest methods and technologies for natural products isolation with a combination of all new chapters and revised and expanded classic methods. Written in the highly successful Methods in Molecular Biology™ series format, chapters include introductions to their respective topics, lists of the necessary materials and reagents, step-by-step, readily reproducible laboratory protocols, and expert tips on troubleshooting and avoiding known pitfalls. 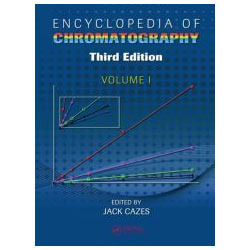 Authoritative and up-to-date, Natural Products Isolation, Third Edition provides the substantial background information needed by budding natural product researchers as well offering an invaluable reference guide to available methodologies and techniques for the more experienced researchers. 5 Microwave-Assisted Extraction in Natural Products Isolation. 9 Separation of Natural Products by Countercurrent Chromatography. 15 Isolation of Microbial Natural Products. 19 Follow-Up of Natural Products Isolation. LC/MS A Practical User's Guide by Marvin McMaster provides an in-depth information on how to use and maintain the LC/MS system. With an easy to use and hands on reference, the book enables one to understand the subject in the most convenient manner. 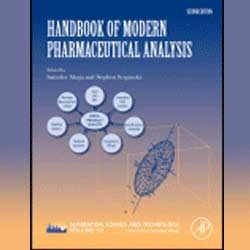 Published in the year 2010, the Handbook of Modern Pharmaceutical Analysis, 10 the handbook provides case studies and methodologies that have been edited by Satinder Ahuja, and Stephen Scypinski for a better understanding and in-depth information. 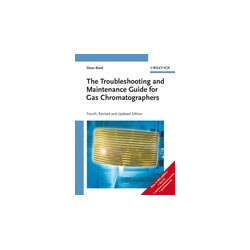 This handbook is perfect for organic chemists, pharmaceutical chemists, Method development chemists, medicinal chemists, analytical chemists, biochemists, and licensing authorities. 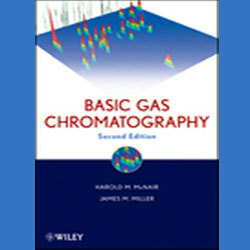 Basic Gas Chromatography by Harold M. MC Nair and James M. Miller the book covers various topics such as Gas chromatography-mass spectrometry (GC-MS), Sampling methods, Multidimensional gas chromatography, Fast gas chromatography, Fast gas chromatography and many more. 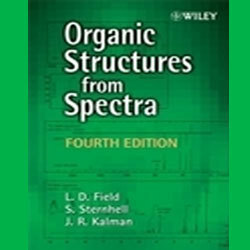 Organic Structures from Spectra, 4th Edition by L.D. Field and J R Kalman, the Organic Structures from Spectra, 4th Edition comprises of over 300 structural problems that deals with majority of the spectroscopic techniques in details. The problems are dealt in such a manner so that it helps in the student’s understanding of the subject matter. The book provides an in-depth theoretical knowledge. As with previous editions, this book combines basic theory, practical advice and sensible approaches to solving spectra problems. 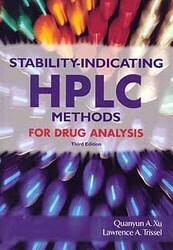 Written by Lloyd R. Snyder, Joseph J. Kirkland and John W. Dolan is intended to meet the needs, demands of HPLC users. 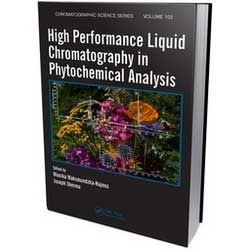 The book is written in such a way so that whether you are a novice or an expert Introduction to Modern Liquid Chromatography, Third Edition provides an up-to-date, extensive, and accessible survey of HPLC methods and applications available. Written by y Stephen Richards, and John Hollerton, Essential Practical NMR for Organic Chemistry informs the reader on the various factors of NMR spectroscopy and how they deal with problems of small organic molecule structural elucidation. Detector and Data System Considerations. An Example of High Speed GC Using a Small Diameter Column. Adopting a practical approach, the authors provide a detailed interpretation of the existing regulations (GMP, ICH), while also discussing the appropriate calculations, parameters and tests. 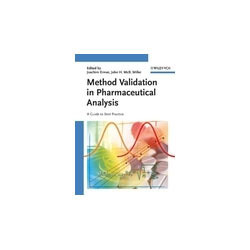 The book thus allows readers to validate the analysis of pharmaceutical compounds while complying with both the regulations as well as the industry demands for robustness and cost effectiveness. 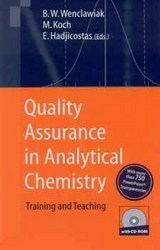 Following an introduction to the basic parameters and tests in pharmaceutical validation, including specificity, linearity, range, precision, accuracy, detection and quantitation limits, the text focuses on a life-cycle approach to validation and the integration of validation into the whole analytical quality assurance system. The whole is rounded off with a look at future trends. With its first-hand knowledge of the industry as well as regulating bodies, this is an invaluable reference for analytical chemists, the pharmaceutical industry, pharmaceutists, QA officers, and public authorities. 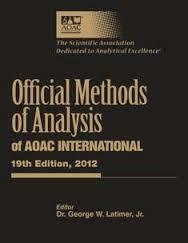 The most important advantage [of this text] is that it has not only been written for the practitioner, but also the analyst who wishes to familiarize himself with any or all the aspects of GC/MS." 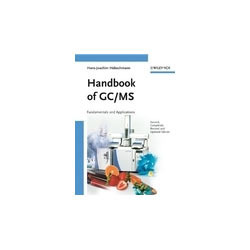 An updated edition of its bestselling predecessor, Handbook of GC/MS: Fundamentals and Applications offers broad coverage of the subject, from sample preparation to the evaluation of MS-Data. 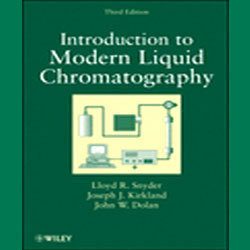 This edition boasts several new chapters, including Automated Solvent Extraction (ASE), Hyphenation with Isotope Ratio MS, and the TOF-technique. Filling a gap in the literature for a hands-on guide focusing on everyday laboratory challenges, this English edition has been expanded and revised using the feedback received on the successful German precursor. Throughout the book, Professor Mascher draws on his 30 years of experience and provides abundant practical advice, troubleshooting and other hints highlighted in boxes, as well as a broad selection of walk-through case studies. Based on a course taught by the author, the first part of the book intuitively explains all steps of a routine pharmaceutical analysis and explains how to set up a robust, inexpensive and efficient method for a given substance. In the second part he includes 20 worked example cases that highlight common challenges and how to overcome them. 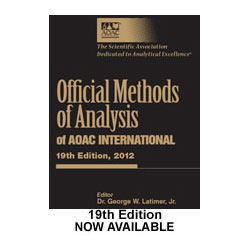 With its appendix containing tried-and-tested analytical methods for 100 clinically relevant substances from the author's own laboratory, complete with spectral and MS data as well as literature references, this is a life-long companion for everyone working in clinical, pharmaceutical and biochemical analysis.